In Tennessee divorce, all marital assets should be equitably divided between the spouses. Double dipping theory as applied to certain of those assets can have a substantial impact on the outcome. More to the point, in this series of articles we will be discussing double dipping into divided marital assets – namely pensions, retirement accounts, stock options, and very importantly, closely held businesses and professional practices. At its simplest, double dipping occurs when one spouse is paid twice from the same divided marital asset. The result is that one party could benefit at the expense of the other in a situation where the law requires equity and fairness. Should double dipping be permitted? If so, then under what circumstances? Furthermore, not only does the nontitled spouse (or non-owner spouse) have a right to a share of the family business (typically awarded equal value in other assets, such as the marital home), but if economically disadvantaged, then the nontitled spouse may also be awarded alimony based upon the titled spouse’s pre-business-division income. Arguably that’s a double dip. To understand double dipping in divorce, we start with the premise that Tennessee requires equitable distribution of marital property. One such marital asset, often the spouses’ most valuable one, is a business or professional practice. Income received from a dental office, for instance, would be included in the basis for child support and alimony. Double dipping, even triple dipping, can occur with both forms of family support. How? With a double dip, one party takes the bucket back to the same trough for yet another scoop. What is in the trough – a law office, mercantile, pension, stock option, or other – is both a marital asset and a source of income for the titled spouse. In dissolution proceedings, double dipping may be problematical, particularly for the party who pays twice. Although the term “double dip” has an unwholesome tinge to it, double dipping can be unfair but it is not necessarily unlawful. On the surface, it appears the same income dollar is revived again and again to calculate two or three support obligations arising from divorce. This double counting occurs, first, when the income-generating marital asset, such as a pension, is valued and divided as a marital asset in divorce. Second, for purposes of calculating child support or alimony, the owner’s income is determined based upon a pre-division valuation of the pension (or other marital asset). At first blush, this may seem unfair. But there are some good arguments as to why double dipping, also known as double counting, should be permissible at least some of the time. For one, the rationale for dividing marital property in divorce and the purpose of child support and alimony are quite different. Marital assets and debts are divided because a marriage is an “economic partnership,” each spouse has a property right to the assets acquired during the marriage. 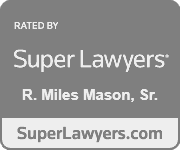 By comparison, alimony is a “support obligation derived primarily from income.” L.W. Morgan, Esq., “Double Dipping”: A Good Theory Gone Bad, Vol. 25, 2012, Journal of the American Academy of Matrimonial Lawyers. 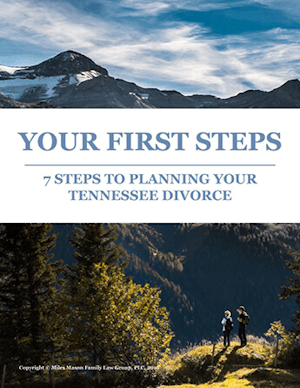 In this introductory segment, we begin with a few Tennessee double dip cases wherein the divided marital asset was also income for family support. 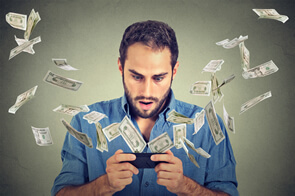 Double dipping could result in more alimony or child support, perhaps a lot more, creating a tactical incentive to utilize the double dip to amplify the titled spouse’s income that is available to pay support. In this straightforward case example of double dipping, the same debts were paid twice: First in the property settlement and again in alimony. The 2001 Cantrell v. Cantrell divorce is memorable, in part, because it involves the parties’ second divorce from each other. Cantrell v. Cantrell, No. E2001-00259-COA-R3-CV (Tennessee Ct. App. Dec. 19, 2001). During their second marriage, the couple borrowed money to purchase a floral business. Neither spouse received income from the shop. Seeking rehabilitative alimony, the wife anticipated drawing a salary from the flower shop in about two more years. In the wife’s monthly income and expense statement, she included two debts: Her car payment ($300.00) and her health insurance premium ($200.00). The trial court ordered the husband to pay both expenses in the property division. In awarding rehab alimony, though, the court included the same expenses again – a double dip. The husband appealed. Rehabilitative alimony was reduced from $768.65/month for 12 months to $400.00/month for 12 months. The $500.00/month double-dip was eliminated, but the wife’s need for alimony was increased by $131.35/month in the process. Cantrell illustrates the need to obtain a business valuation, too. In the property division, the wife was awarded the floral business. The spouses valued the business at $43,000.00. The wife testified that if she sold off all the inventory, the proceeds would only cover the $43,000.00 indebtedness. There being no other opinion or expert valuation testimony, the trial court determined the business’ value to be zero. The valuation was affirmed on appeal. The next case nestled a double dip in the wife’s credit card debt (marital property) which an attorney fee award would have paid twice. In Carpenter v. Carpenter, the Court of Appeals reversed the trial court’s attorney fee award to the wife, holding she had sufficient resources to pay her attorney fees independently. Carpenter v. Carpenter, W2007-00992-COA-R3-CV, 2008 WL 5424082 (Tenn. Ct. App., Dec. 31, 2008). 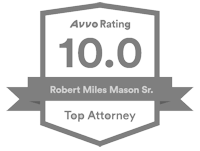 In the division of property, the wife’s portion of the marital debt included her $78,000.00 credit card debt, a substantial portion of which was her attorneys’ fees. Those fees included $21,300.00 from a forcible detainer action brought by the husband against the wife in which he prevailed; and $29,414.00 from the Tennessee divorce. Carpenter had all the earmarks of double dipping. The husband argued the trial court abused its discretion by allowing the wife to double dip into marital property (divided debt) and again into his income (pay her attorneys fees). As mentioned previously, the purpose of alimony and child support in Tennessee divorce and child custody proceedings differs substantially from the reason why marital property is distributed equitably. 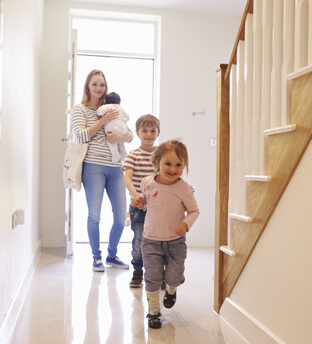 With child support the issue of double dipping comes up when a marital asset was equitably distributed, yet income from that asset is holistically included in the gross income of the parent. Although there are some noteworthy inconsistencies in how Tennessee courts have decided the child support double dip, it is apparent the courts are reticent to exclude any potential source of income when doing so might negatively affect the child’s best interests. The standard of living the family enjoyed before the divorce does matter. To understand how child support might be increased or decreased, read the discussion on Child Support Modification in Tennessee. In the 2003 Tennessee divorce of Rinner v. Rinner, the father’s entire bonus was included in his gross income for child support calculations and, once again, was also equitably divided as a marital asset. Rinner v. Rinner, No. M2001-02307-COA-R3-CV, 2003 WL 253252 (Tenn. Ct. App., Feb. 6, 2003). All income from any source means just that. Double dip affirmed. In 2000, a post-divorce child support modification case again raised the double dip question. Divorced in 1995, two years later the mother petitioned for modified child support alleging significant variance due to father’s increased income. The trial court denied her petition and she appealed. Alexander v. Alexander, 34 S.W.3d 456 (Tenn. Ct. App. 2000). The appeals court acknowledged that double dipping can occur when an asset is sold to fund the divorce property settlement and the capital gain from that stock sale is also included as gross income for child support calculations. The sequence of events matters. The Alexander court looked back to the 1995 divorce decree and father’s sale of McKee stock in 1994, 1995, and 1996 to determine whether there was a significant variance with his 1997 income. Focusing on capital gains from the 1995 and 1996 stock sales, the court prorated the capital gain over the period father owned the stock and included it in his gross income for the pertinent years 1995-1998. With the capital gain on the 1996 McKee stock sale, however, father offered no credible evidence that any portion of the gain was connected to property settlement. An interesting note on McKee business interests: The father was a grandchild of O.D. McKee, founder of McKee Baking Company, now McKee Foods Corporation – baker of Little Debbie Snack Cakes. Father’s McKee stock holdings were valued at approximately $4M in 1997 when the mother petitioned for modified child support. The trial court’s decision was reversed and the case remanded for further proceedings. Ultimately, the Court of Appeals concluded that the record before it was insufficient to make the necessary calculations to convert father’s gross income to net income and recommended appointment of a special master “well-versed in the tax field – whose task it will be to determine how to convert Father’s gross income to net income under the Guidelines.” Attorney fees of trial and appeal were awarded to the mother. More recently, an apparent conflict of laws arose involving the language and intent of the Guidelines in calculating child support (all income from any source must be included) and T.C.A. § 36-4-121(b)(1)(E), the statute controlling distribution of marital property in Tennessee divorce. In the 2013 case of Ghorashi-Bajestani v. Bajestani, the father’s petition for modified child support orders was a direct test of double dip theory. Ghorashi-Bajestani v. Bajestani, No. E2013-00161-COA-R3-CV (Tenn. Ct. App., Sept. 24, 2013), appeal denied. Because it had already been divided as a marital asset, the trial court declined inclusion of father’s deferred compensation as income. The asset was his Tennessee Valley Authority (TVA) deferred compensation which was valued at $2.7M. The father sought to reduce his child support payments because his TVA engineering position had been terminated. An asset that was determined to be, and was distributed as, marital property in a divorce “could not be included as income” for child support calculations. It’s one or the other, but not both. After distribution of the marital asset, however, any increased value or income generated should be included in the parent’s gross income for child support purposes. Double dipping is a challenging concept for parties, attorneys, and judges alike. In high asset divorces, double counting can redirect tens of thousands of dollars from one party to the other. Talk to your attorney. In the next segment, we examine how double dipping to calculate child support obligations is handled in other jurisdictions. We then explain the earliest instances of double dipping – that is, double counting with pensions and retirement assets as marital property in divorce. From there, we move into a very important discussion on how double dip theory – counting the same income twice – has spilled over into the equitable division of closely held businesses and professional practices. 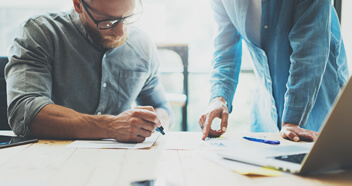 There is plenty of disagreement among legal and accounting professionals on whether double dip theory should be applied to the family business. And if it should be, then to what extent?